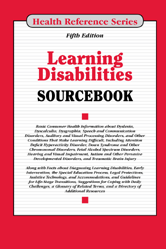 Provides basic consumer health information about the signs, symptoms, and diagnosis of various learning disabilities and other conditions that impact learning, along with facts about early intervention and the special education process, advice for coping at home and school, and handling the transition to adulthood. Section 4.1—What Are the Causes and Risk Factors of Learning Disabilities? Section 6.1—How Are Learning Disabilities Diagnosed? Section 25.2—What Are Pervasive Development Disorders (PDD)?